the arrows are totally broken, and not only in combat, you can sink galleons stopped with exactly 30 arrows in the same plank. It is totally absurd. 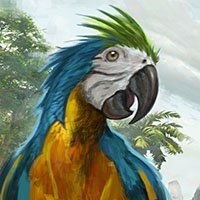 Captain's Log 15: Treat me like a Pathfinder and Gimme dat Patch! I think there are urgent things that break the gameplay ... thousands of Chinese on European servers? ... mmm has no logic and will end up breaking the game. Make small medium groups survive ... but in the end only play the 2 largest companies.